Dallas Composite Squadron held the change of command ceremony for Cadet Commander on June 6, 2016. Cadet Captain Zachary Holub transferred command of the squadron to Cadet 2nd Lieutenant Madison Applewhite. The squadron celebrated with a reception after the ceremony. C/Capt Holub commanded the cadets for a little over than a year. He had just graduated from high school, and was leaving for college, so it was perfect timing for C/2nd Lt Applewhite to take over. C/2nd Lt Applewhite has been in CAP for three years. She started her leadership experience as First Sergeant under the previous cadet commander, Cadet Chief Master Sergeant Luke Schlenker. She was eager to get leadership experience, and served as First Sergeant of the 2015 Texas Wing Summer Encampment. In August of 2015, she achieved the Billy Mitchell Award, and soon after she was assigned the Deputy Cadet Commander under C/Capt Holub. In that position, she learned how to run the squadron from C/Capt Holub. In recognition of his long service to the squadron, C/Capt Holub received a United States flag that was flown at the US Capitol Building. C/2nd Lt Applewhite ordered the flag from the Congressional office of Pete Sessions, Texas 32nd District, and presented it to Captain Holub at the end of the ceremony. From the left: Major Seth Grenke, Dallas Composite Squadron Commander; C/2d Lt Nathaniel Mars, flag-bearer; C/2d Lt Madison Applewhite, and C/Capt Zachary Holub. C/2d Lt Madison Applewhite presenting US flag to C/Capt Zachary Holub. C/2d Lt Madison Applewhite assuming command of cadets. Cadets from the Dallas Composite Squadron TX-391 attended the Cadet Training & Education Program. CTEP is designed to give cadets both the knowledge and skills to lead as they progress through the Civil Air Patrol program. The focus is Leadership, both in CAP and in the community. Pictured from right to left, C/CMSgt Z. Holub attended SNCOA and C/TSgt M. Dykes and C/TSgt M. Applewhite attended NCOA. C/CMSgt Z. Holub states, "It was great meeting new people and it definitely helped build my leadership skills." C/TSgt M. Dykes had this to say, "CTEP was a great learning and leadership opportunity. I learned a lot and met a lot of people I will hopefully meet again in the future. I improved my ability to write essays and to give good speeches. Overall it was an amazing experience and I highly recommend it to anyone who hasn't gone." C/TSgt M. Applewhite commented, "I felt like it was a great experience and helped make me a better NCO and 1st Sergeant. I definitely plan to go again in the spring!" The Cadet Training & Education Program is made up of four different cadet schools: Non Commissioned Officer Academy, Senior Non Commissioned Officer Academy, Officer Training School, and Cadet Command Staff College. DALLAS-Cadet Senior Airman Madison Applewhite, from Dallas Composite Squadron, participated in the New Mexico Wing Summer Encampment from June 28 to July 4, 2014 at the Oñate National Guard Complex in Santa Fe. 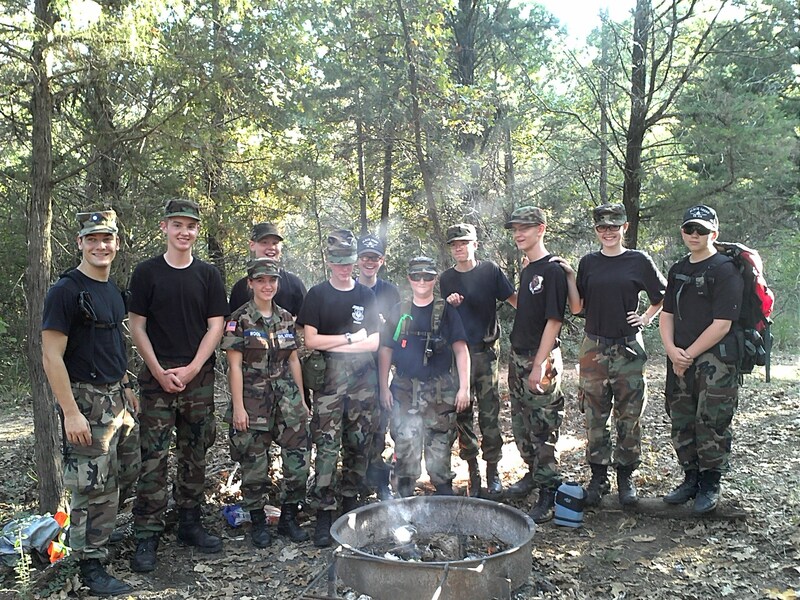 Following is Cadet Applewhite’s experience of her first Basic Encampment in her own words. Thousands of cadets have attended their first Encampment. I’m just one of them. I attended my first Basic Encampment on June 28, 2014. I enjoyed it so much, and I plan to go again. As a senior airman, I knew a lot of drill and was appointed third element leader and a road guard. My flight sergeant explained to all three element leaders that he chose us because of our strength in drill. Throughout encampment, I strived to be my best in drill and shouted my loudest. Near the end, we had a drill-off and I was my flight’s winner. When I competed against the other flights, I ended up in third place, but was still very proud. We also got to rappel, got an up-close look at Blackhawk helicopters, and played “capture the flag” during daily sports. I loved the experience. ALS (Airman Leadership School) is May 9-11. Please see http://www.txwgcap.org/calendar/ for more information.